If you have an advertisement on your vehicle that you still work for, you can save thousands of dollars a year. Does a very good job. Could use a bit more accuracy in detecting drives. One thing I really want to see is the ability to SPLIT a drive. Let’s say I work 10 miles from home. I leave work and then travel 15 miles to a lumberyard to buy materials for me rental house, and then drive 8 miles home. 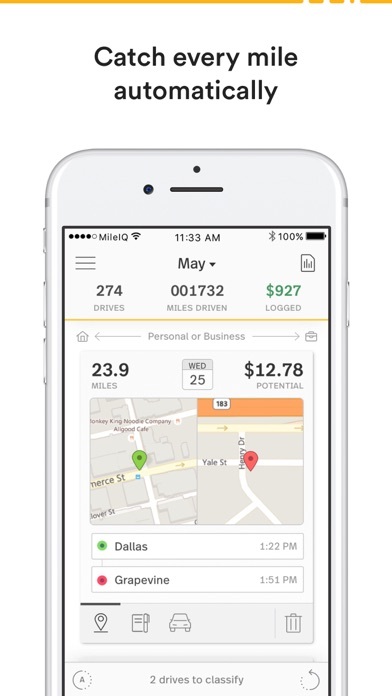 The first 10 miles of the 15 mile trip are COMMUTE miles -nondeductible miles. But the next 5 miles ARE deductible. I cannot SPLIT this drive for accuracy. I need to worry the entire drive and enter everything manually - that is not as easy as it sounds. 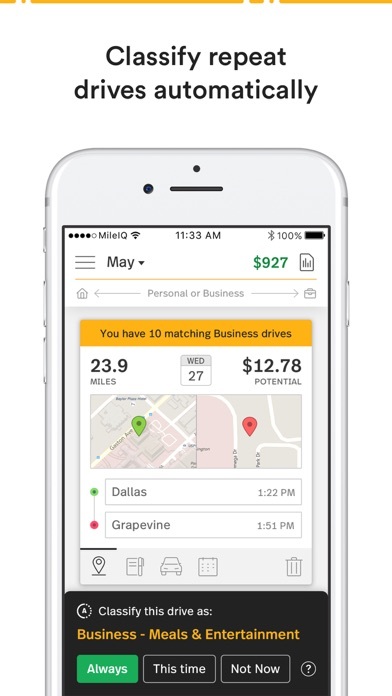 This is a big shortcoming with MileIQ. I’ve been using this app since December. For the most part, it’s a decent app. 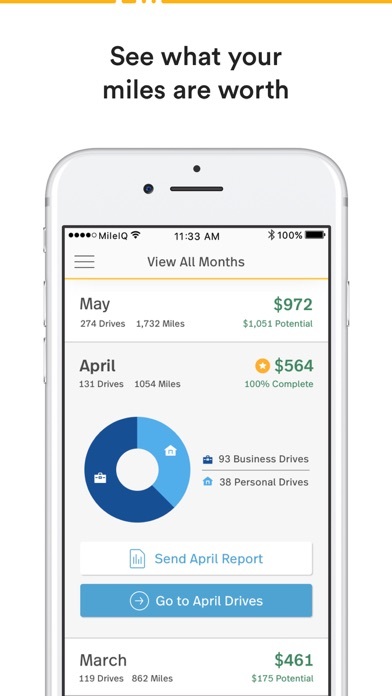 To improve the app, I’d like it to be more accurate, because on occasion it will only track the 2nd half of a round trip. Not sure why. So maybe adding a feature that would allow us to manually add miles that were not tracked would be helpful. Last year I estimated my milage. This app had already paid for itself within the first month if the year. So smart. Where have you been all my life. My accountant told me to get it. Glad I did. This app is incredible and has not disappointed. A lot of apps tell you all of their great features and you download and find out or falls short of your expectations. And for my taxes... What more could I ask for. 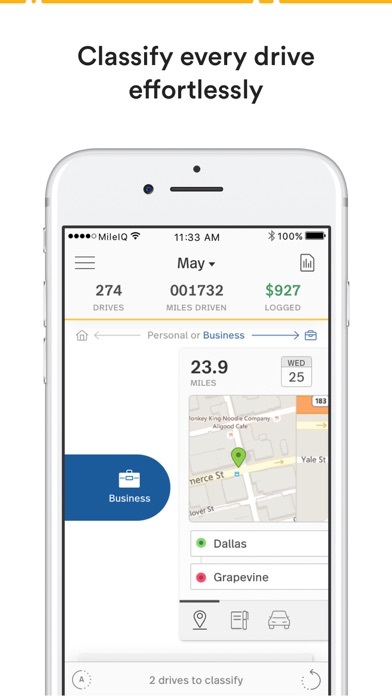 My wife and I just started a business, there is no better way to keep up with business mileage than this app. Very pleased with it.